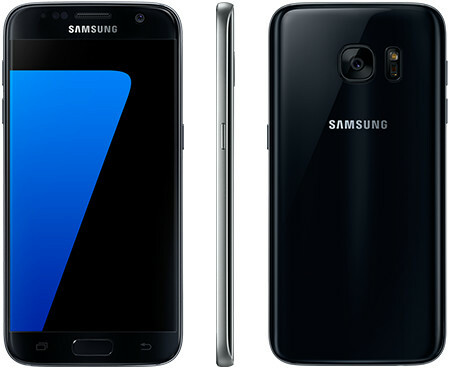 Samsung Galaxy S7 – The uncut review! When it was first announced back at MWC earlier this year, it was being sold as the best phone money could buy. Yes, the version we had for review is the S7 and not the S7 Edge, but they are effectively the same hardware with minor differences. As such, we were very excited to finally get our hands on this. More so, we really wanted to test if this really was the perfect phone, or whether Samsung, or more importantly TouchWiz had missed a few tricks. In many ways, Samsung has pulled an Apple as far as this phone is concerned. It is not just the next Galaxy S, but rather the best Galaxy S yet. Let me explain. The Galaxy S6 was a major diversion from what was starting to become a rather boring smart phone market. Different companies were trying different things. LG went with leather. HTC went with something that looked almost like an iPhone. Apple and Huawei gave us 3D touch, and fingerprint sensors suddenly became the norm. Samsung tried to pack in a lot, and give something new at the same time. We had something reasonably new with Edge, as well as a lot of features packed in. TouchWiz also had bit of a revamp, and it looked smarter and cleaner. This did mean they cut down on a few other items. We had no more water resistance, nor the ability to put in a microSD card, or to remove the back to get the battery out. In many ways, Samsung had pulled an Apple in an Android world (at Apple prices too!). Galaxy S7 was their chance to correct all that, and that is exactly what they have done. The micro SD and the water resistance is back. There are seemingly subtle improvements in specs as well as looks, but it is all about taking the last product and giving you an even more refined one. There is a massive improvement between the Galaxy S6 and the S7 as far as the feel goes. The phones may look rather similar, and definitely related, but the S7 has done well to add all the curves in the right places. The phone feels good in your hand, thanks to a subtly curved back (which was one of the issues with the S6) and the front follows a similar set of curves to give you a nice overall feel in the hand. The front, of course, features the screen, the front camera and the big home button. The home button also features as the fingerprint sensor. You also have physical back and recent keys, which is a difference from the usual Android crowd. The bottom gives you the micro USB (no USB C here), the headphone socket and the speakers while the top holds the micro SD and SIM. The right side has the power button while the volume keys are on the left, another area where Samsung maintains its difference from the usual Android crowd. The back features the camera and the flash which sits next to the health sensor. Both the back and front feature Gorilla Glass, giving you extra confidence. First thing’s first. With 4GB of RAM and a fast processor, there is pretty much no lag on this. However, run a few apps, and you start to notice why TouchWiz has its reputation. For a phone with so much power, you will notice a lag at certain times. It isn’t ideal, and yes, we normally test quite high end phones, but for a phone wanting to be the very best, this one annoyed us a little bit. I can bore you with all the shots I took, or you can just search for some good examples on the internet. The camera on this is good, very good. It works great in low light, and it captures colours as well as detail very well. The UI takes a little getting used to, but that goes for every single camera app. There is a problem with video though, and it is only noticeable if you use try slow motion video. It is jerky. Very jerky! I have noticed a lot of people on the internet complaining, and once again, you can see examples by them, but that was a major disappointment. Now if you’re after a camera that takes amazing photos and you’re not bothered about video that much, this works great. If you want one where you want to take videos, then you may need to see if a solution to it comes. It was hoped that a software update will fix it, but I have had one come through and seen nothing. TouchWiz is intrusive again. While it isn’t much different to any other manufacturer, it somehow has felt a bit heavy. As far as I am aware, the last version of TouchWiz was rather stripped down for performance, but it still felt like it held an awesome bit of hardware back. Having said that, you do get used to the quirks, and the software features. Just something to note, by default it gives you a 4 x 4 grid on your desktop, but you can change that in settings to 5 x 5 icons on your home screen. There are other options such as allowing you to get rid of app drawer (like EMUI or Apple) and of course, Samsung is now friends with Microsoft so you get Office apps straight out of the box. There is also the usual set of annoying Samsung apps that are packed in, and cannot be uninstalled. Some of them could be useful, like S-Health, while others you might just have to live with, like ‘Email’. At least it doesn’t come with as many apps as it used to, so there is some improvement. You also have the always on screen as part of TouchWiz. You can change this to show you a few things, such as date, time, calendar and battery level. Anything more is determined by Samsung apps, so they may tell you more, but don’t expect to see your notifications appear on this. It also features its own set of Emoji, so once again, that quirky smile you sent to your pals may not look as awesome and funny to them. (If you have no idea what I am talking about, you probably don’t sent that many Android to iPhone messages, or don’t see Whatsapp change your emoji randomly). All in all, TouchWiz offers a lot of useful features, yet has certain ‘quirks’ that keep it far from perfect. Fingerprint sensors are all the rage these days. The one on the Galaxy S7 though, doesn’t really fall in the same category. I found that I had to constantly readjust my fingers or thumbs to get it to register, and I often ended up entering my PIN instead. It is also definitely slower than most other phones. The finger print sensor was my least favourite part of this phone. The performance in wet conditions was my most favourite. We have had loads of phones that offer you IP66 ratings and beyond, and this one goes as far as IP68. Yeah, you can submerge it in water for 30 minutes, up to a depth of 1m. We all know that. Where it really shines though, is the fact that the touch screen can handle wet fingers, and it can accurately work as a touch screen when wet. This is one reason why the whole dream of using phones under water or in the shower or bath has always been a marketing gimmick and not really practical. With the S7 though, it is totally on!!! For the sake of completion, I’ll mention that the battery is reasonably adequate. It survived most days of reasonably heavy usage, and it didn’t give me any anxiety. More information on the Samsung Galaxy S7 can be found via the Vodafone website, who kindly sent it to us for the review. A typical contract costs around £47 a month, while it will cost you around £550 to buy it outright. Is this the best phone money can buy right now? At that price, you really have to think. It is a premium phone, and it does come with a few bugs or nuances. However, it is a step in the right direction. Next story Basis warns Basis Peak users of overheating issues, asks them to take it off!